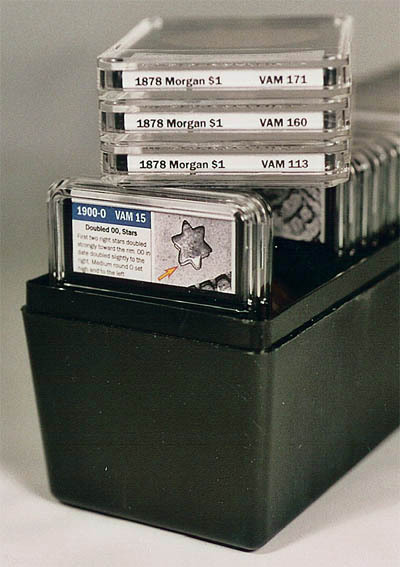 The idea of the VAMSlab is to help you identify the VAM number of the coins you already have. 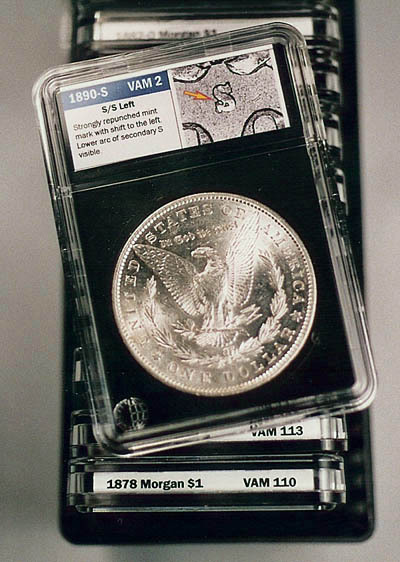 Variety Slabbing Service is not a grading service, and the VAMSlab does not contain an opinion as to the grade of the coin. Coins that have supporting documentation as discovery coins will be so labeled. If you have coins already graded by a third party grading service, please view the VAMSeal product information page. 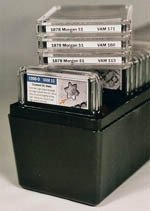 Note: Variety Slabbing Service is currently unable to print identification information on the top edge of the holder. Variety Slabbing Service will attribute and encapsulate your Morgan and Peace dollar varieties for $6 per coin, plus return shipping and insurance. Click for a submission form. Contents of this website copyright © 2010, Variety Slabbing Service, all rights reserved.